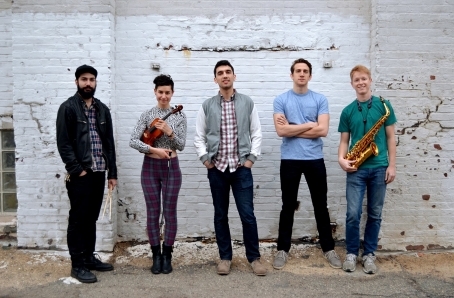 Brooklyn based quintet Three Thousand Rivers plays uplifting and melodically ripe folk-pop with rock and orchestral elements (a violinist and a saxophonist are permanent band members). Their sophomore EP 'Body Aha' - which we are premiering below - boasts a remarkably organic sound and, when compared with last year's debut 'Like a What? ', showcases a noteworthy growth in terms of production and songwriting. Whether you'll spend your summer stuck at work or travelling through foreign landscapes, this is a record that will entertain you and create positive vibes. Three Thousand Rivers will celebrate their release party at The Mercury Lounge on August 8.